Kip took the kids out to a movie and shopping this morning so I could get some much needed uninterrupted sleep ( I worked last night). I slept... and slept some more when Audrey got in bed to cuddle with me upon their return. She asked to breastfeed. I said yes, and we fell asleep together some more. I woke up to a new (and much needed) wallet! And they brought dinner home too! And Iv'e been catching up on lots of Mothers Day texts from friends and family! I am happy and in love. I hope my mother feels happy and in love today too! And hope all mother's feel happy and loved! In celebration of Mother's Day and La Leche League International's new slogan campaign... got breastmilk? 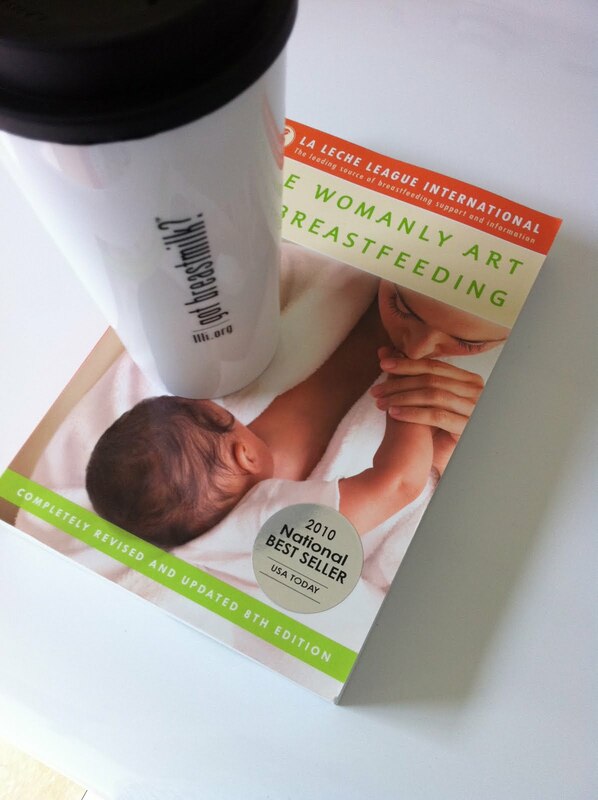 I have a copy of their new book The Womanly Art of Breastfeeding and a travel mug to give away to one of you! Just leave any comment on this post (US only) and I will randomly pick a winner on May 18th. I hope you love this giveaway as much as I do, this is such a great book to give as a gift or keep in your library to share with friends and family! *got milk? sent me the same package they are sending one of you. No other compensation was given. Hope you have an awesome day full of good moments and love! Fingers cross :) hope to win! Wonderful giveaway...I'm expecting my first and plan to breastfeed so this would be great! how wonderful your mother's day sounds. very calm and zen. I love it. I'm your newest follower and I am loving your blog!! and what a lovely giveaway. I have a friend who could absolutely use both of those things- and would be delighted- I hope I win!! I'm so behind on blog reading...what's new...and I'm too late for the giveaway. But, so glad you had a happy mother's day!